NEW A/C no: 520141000247401, IFSC Code: CORP 0000582 Corporation Bank. Kindly make transactions with new A/C number. THE WEBSITE HAS BEEN CHANGED TO aibsnleaktk.com FOR LATEST UPDATION. THE EARLIER WEBSITE aibsnleaktktipod.com MAY ALSO BE USED FOR EXSITING INFORMATION. It may be recalled that AIBSNLEA had filed an OA vide O.A./100/2649/2017 in Hon’ble Principal Bench CAT New Delhi against the DOT order dated 05.07.2017 for withdrawal of additional increment by fixation in same scale on post based promotion under EPP. Similarly, Com. Karan Singh, Advisor (North), CHQ, AIBSNLEA along with 27 applicants also filed case in the Hon’ble CAT Jaipur & Hon’ble High Court, Jaipur against the DoT Order dated 05.07.2017. Hon’ble CAT Jaipur has granted stay order on re-fixation of pay & recoveries as per above said order. RETIREMENT OF FOLLOWING EXECUTIVES ON SUPERANNUATIONS W.E.F. 31/08/2017 A/N . WE WISH THEM A VERY HAPPY & PEACEFUL RETIRED LIFE. A well arranged executive meeting was conducted by Dist, Sec. AIBSNLEA Com. was addressed by Co. Chakoli Appalal V.P.CHQ, N.Delhi, Com. S.K.Hiremath Cir.Sec.KTK,&amp; Com. Ulhas V Gurav Cir.Prez. KTK. many cases pertaining to BGTD including transfer &amp; postings. deliberations took place at TVDM on 11 & 12 th Aug . 2017. He said the CMD and his team are having full faith in our G.S. for his efforts in implementation of 3 rd PRC. He also said that the revenue of other operators for the 1 st Quarter is declining whereas there is an increasing trend as far as the revenue of BSNL is concerned. He appealed one all to be united and strengthen the hands of C.S.AIBSNLEA by increasing the membership in the days to come. recruitment of J.E. JTO’s locally to overcome the shortage in the cadre. He said that the so-called majority association is least bothered about the growth of BSNL its revenue in KTK Circle. The leaders of said majorityassociations are repeatedly pressurizing the Cir. Administration to approve the Rule-8 cases knowing well that there is acute shortage, as much as 70% in KTK Circle including major SSA’s like BGTD, MYS TD, Hubli TD BLGM TD.We are not against the Rule -8 transfers where as we have acute shortage of JTO’s in KTK circle. We emphasis that the first priority to fill up the acute shortage of JTO’s in KTK circle. branches Area-wise to strengthen the association activities. Cir.Fin.Sec.Com.ThulasiRamaiah H J &amp; Com.Veerappa Shettar Vice.Prez. were also present on the dias.Before conclusion of the meeting Com.MeenaKumari ADS PA/PS gave vote of thanks to the gathering. 16/8/2017:- All India CWC Meeting held at Trivandrum on 11th& 12th August 2017. CS com Shashidhar Hiremath, CP com Ulhas Gurav,FS com Thulasiramaiah, CHQ Vice President. Com. Chakolii Appalal Adviser South com. M S Srinivas and CWC members viz, com. Mudhra Bhat, Tarikere. M G Nayak , M M Khale Khan along with DS BGTD COM. N Nagaraju and ADS BGTD com. Bujanga Bushan attended the meeting. The executives/employees posted in outdoor are under sever pressure due to shortage of man power and there is a pressure from from customers in respect of quality of service. On the other hand there is a pressure and harassment from higher officers for immediate clearing 0f faults to achieve the targets. Two to three posts are looking after duties assigned to one and the same executive like indoor, CSC, CRO, etc. The strength of executives/ non-executive is decreasing drastically month by month due to huge retirement. On a survey it is learnt that out of 100 as many as 70% customers are leaving BSNL services, mainly due to non-availability of services in time when ever fault is occurred. This intern reduces the revenue of the department. To arrest thids there is urgent need to deploy minimum staff for maintained work. Sales and services, BB, call centres revenue collection sales and marketing of BSNL have been out sourced to venders and agents who have no fear of losing their contract and revenue. They are not carrying out their job as per the guidelines of BSNL. Due to inadequate service customers are facing a lot of problems and unnecessary harassment from these venders. The customers lose the credibility of BSNL thus bringing a bad name to BSNL. The introduction of JIO by reliance has created havoc in the Telecom industry. There is a urgent need to address these issues and our circle secretary requested the general secretary to take up the issue at the highest level. The administration has utterly failed to deploy the executives for maintenance work especially in major SSA namely BGTD, HBLTD BMTD. The shortage of cader of JTO alone itself is as much 68% in BGTD. 1.JAO Part-II exam was conducted in the year 2000 through the candidates were qualified in part-1 in 1998 itself. 2.The result of JAO part-2 were declared during 2002 after gap of 2 years. widended over the years to such an extent that the difference in basic payis Rs 10000/- as on date compared to the JAO batch of the year 1999.A similar case i.r.o.,JTO cader was decided by Hon’ble CAT in favour of of aggrieved JTO’s(order copy enclosed). Here I would like to draw the attention of our beloved GS that he himself had a elaborate discussion with our comrades on this case when he attended the district conference of BGTD during March 2017. In view of the above I request our GS to take up the case with the proper authority at the highest level at the earliest. The relevant documents are enclosed herewith. The comrades of various cadres are very much disappointed & disgusted for the inordinate delay on the part of Admin/HR & non implementation of various orders. Delay in implementation of ADOL restructuring. On conducting of CPC’s from AO to CAO &SDE(C) to EE(C) though therewere no court cases. It is requested to reintroduce the reimbursement of medical allowance scheme to serving executives/employees on quarterly basis as is done for retirees which will save a lot of time & money to the BSNL. ADOL,etc. Circle FS has presented the Accounts in detail. RETIREMENT OF FOLLOWING EXECUTIVES ON SUPERANNUATIONS W.E.F. 31/07/2017 A/N . WE WISH THEM A VERY HAPPY & PEACEFUL RETIRED LIFE. AIBSNLEA is committed for 3rd PRC implementation and in case the BSNL Board/DOT Administration do not implement it, in that case AIBSNLEA will never hesitate to go on indefinite Strike. Let us watch the developments closely and will take immediate organisational action, if required at the appropriate time. Our deepest condolence to com. Baburao SDE Mangalore TD expired today due to heart attack in Bangalore. May his soul rest in peace. May God give strength to bereaved family. RETIREMENT OF FOLLOWING EXECUTIVES ON SUPERANNUATIONS W.E.F. 30/06/2017 A/N . WE WISH THEM A VERY HAPPY & PEACEFUL RETIRED LIFE. AIBSNLEA have been fighting for the settlement of all the legitimate HR issues and viability of BSNL since its inception and achieved many mile stones during the period by getting implemented grant of perks to executives w.e.f. 01.01.2005, implementation of EPP w.e.f 18.01.2007, filling of all vacant STS Group-‘A’ level posts in all discipline by getting clearance from DoT in Sept.-2006, Transparent Transfer Policy-2008, BSNL MSRR-2009, Implementation of 2nd PRC recommendations in BSNL with full 30% fitment benefits in BSNL, IDA Pension revision for BSNL Pensioners issued on 15.03.2011, Merger of 50% DA with Basic Pay w.e.f. 01.01.2007 effectively amounting to 78.2% for the purpose of fitment and pay fixation in the revised pay scales, Withdrawal of 60:40 provision in the Pension Rules 37A for BSNL employees and payment of 78.2% fitment benefit to BSNL Pensioners, Withdrawal of MT RR-2008 and 2011, Regularization of adhoc level executives in all disciplines, filling up of the vacant DGM/SE posts in all disciplines, 3% superannuation benefit to BSNL recruited employees, framing of JTO RR-2014 and conduction of JTO LICE, Creation of PPS and Sr. PPS posts, regularization of offg. JTOs, Rs. 22820/- Pay anomaly resolution by formation of Committee and active participation in all the struggles of BSNL Unions and Associations to protect the interest of BSNL etc. Recently in December-2016 BSNL Management conducted referendum for majority executive Association wherein AIBSNLEA by getting 18,400 votes got Support Association status and thereafter continuously trying to protect the interest of all the BSNL executives i.e. whether it is BSNL recruited or absorbed in BSNL. After referendum under the banner of United Forum of BSNL Executives Associations one agitation was launched for the settlement of the burning demands i.e. pay loss of post 2007 recruited executives, standard pay scales by replacing E1A by E2, E2A by E3 and subsequent up-gradation of pay scales E3 by E4, E4 by E5, E5 by E6 and E6 by E7, 30% superannuation benefit to BSNL recruited employees, CPSU Cadre hierarchy as per the Khan Committee report, 3rd PRC implementation with 15% fitment benefit and pension revision of BSNL pensioners etc. On the positive assurance given by the CMD BSNL and Director (HR) the agitation programme was deferred. But immediately just after the deferment of the agitation, BSNL management took vindictive actions against the General Secretaries of AIBSNLEA, AIGETOA and AITEEA by issuing “Show Cause” notice, deduction of salary of two days DHARNA organized on 27th and 28th Dec-2016 by canceling the sanctioned E/L and C/L etc. Thereafter, on 28th March-2017, DoT administration issued ‘Presidential Directives’ for E1A and E2A intermediary pay scales which created unrest and accordingly AIBSNALEA and AITEEA organized protest demonstration on 06.04.2017 wherein Com. GS, AIGETOA was also requested to sign the notice but he expressed his inability in signing the agitation notice of United Forum and mentioned that he is in favour of Joint struggle of all the Associations and he along with his members already actively participated in demonstrations made on 30/03/2017 by the Majority Association. Com. GS, AIGETOA was requested by GS AIBSNLEA and GS, AITEEA for serving a agitation notice under the banner of United Forum for protest actions, but GS AIGETOA was perhaps committed to Majority Association not to go for agitation on the platform of United Forum and insisted us also to come and join with them rather than starting agitation. And finally they formed Joint Forum and served a notice of agitation on 10.04.2017 when the GS AIBSNLEA was on LTC at Port Blair w.e.f. 09.04.2017 to 16.04.2017. I explained to GS AIGETOA and GS SNEA that at present I am away from CHQ and after having the talk with our CHQ Office bearers and Circle Secretaries, I shall be able to take the decision because just three months before referendum has taken place wherein lot of hot exchanges have taken place, so immediate joint struggle is not possible. We have to convince and mentally prepare our members at base level for joint struggle then only it would be possible for us to come together but it was ignored for which the reasons are best known to them and finally they served the notice under the banner of Joint Forum denouncing United Forum. Now, Majority Associations is alleging support Association to derail all the HR issues which JF and BSNL Management jointly trying to resolve. The fact remains that Jt. Forum in collision with the BSNL Management is trying to sabotage the important HR issues which the support Association have brought on track i.e. E1-A by E2, E2-A by E3 and subsequent up-gradation of pay scales E3 by E4, E5 by E6 and E6 by E7 which was approved by Management Committee of BSNL Board and was sent to DoT on 06.06.2016 during the struggle of United Forum of AIBSNLEA and AIGETOA. The majority Association since beginning tried to sabotage it and after referendum pressurized the BSNL Management to trunked the proposal making it half i.e. upto E1-A by E2 and E2-A by E3 only wherein double fixation in E3 grade, means one executive will remain in E3 scale for 10 years in violation of EPP which will invite litigations. Knowing well this fact they are befooling the executives and trying to harm the interest of all the executives of BSNL. They pressurized BSNL Management to withdraw the earlier 06.06.2016 proposal and halved it up-to E1-A by E2 and E2-A by E3 only. But with the vigorous efforts of AIBSNLEA, they could not succeed in it and now BSNL has replied the queries of DoT pleading that BSNL’s earlier proposal of 06.06.2016 may be considered in two parts. AIBSNLEA will continue to make its efforts for up-gradation of all the pay scales E1-A to E2, E2-A to E3, E3 to E4, E4 to E5, E5 to E6 and E6 to E7 in the larger interest of all the executives. Majority Association is sabotaging the Khan Committee report on CPSU Cadre Hirarchy by allowing MT recruitment and allowing post based promotions up-to STS level only. We will strongly oppose such acts of Majority Association. 30% superannuation benefit to BSNL recruited employees precipitated after the struggle of United Forum of AIBSNLEA & AIGETOA only. Majority Association never contributed in this regard. PGM (PF) Ms. A. Panda, Committee on pay anomaly of Rs. 22820/- of JTOs/JAOs post recruited 1.1.2007 was constituted on the demand of AIBSNLEA and AITEEA by CMD BSNL. But the Majority Association trying to sabotage the committee report raising huge financial implication to benefit thousands of executives in the report in line of Estt. Cell pleadings. Notional pay fixation issue of JTOs/SDEs(C/E/Arch/TF) Engineering wings and PA cadre was initiated and taken by AIBSNLEA and with it’s sincere efforts only the management committee of BSNL Board has cleared it and now BSNL board approval is awaited. This issue was hijacked by majority association. E1+5 advance increment benefit to JTOs/JAOs could be settled by AIBSNLEA through KCGK Pillai Committee report. Now JTO(SRD), JAO 2013 batch and PAs case has been cleared by BSNL Management committee and awaiting BSNL board approval. Diversion of MT Quota posts to seniority quota posts in Telecom Engg. could take place first and then diversion of MT Quota posts to seniority quota posts of CAOs cadre got cleared from Management committee of BSNL board and now waiting for BSNL board approval. E5 to E6 time bound promotion and EPP to DGM adhoc by modification in BSNL MS RR got approved from Management committee of BSNL and now waiting for BSNL board approval. AD(O/L) cadre restructuring got approved from Management committee of BSNL and now DOT approval is awaited. All the queries asked by DoT has been replied by BSNL. About 1200 DGM(Engg.) and about 250 DGM(Fin)/ DGM(TF), about 100 SE(Elect./Civil) promotion could become possible with the untiring efforts of AIBSNLEA. Sincere efforts are being made to get expedite CPCs from JTO to SDE, SDE to DE, JAO to AO, AO to CAO, CAO to DGM(Finance), JTO(C/E) to SDE(C/E), SDE(c) to EE(C), etc by taking some solution in view of the legal opinion on Hon’ble High Court Chandigarh judgment and DP&T guidelines on SC/ST roster implementation. In this manner AIBSNLEA will continue to work to safeguard the interest of all the executives of BSNL. Majority association after referendum should honestly concentrate for the settlement of pending HR issues in the interest of all the executives instead of doing vote bank politics. Majority association should not worry on support association affairs. Support association knows it’s responsibility well. It’s a fact that AIBSNLEA got about 18400 plus votes during referendum and got support association status with the help of AIGETOA and AITEEA. AIBSNLEA is committed to protect the interest of its members and supporters. Now AIGETOA leadership preferred to align with Majority Association under the banner of Joint Forum of BSNL Executives Associations under the assurance that they will achieve their demands and no vindictive actions will be there against them which the GS AIGETOA faced “Show Cause” notice during the struggle of United Forum of AIBSNLEA, AIGETOA and AITEEA. Now BSNL Management leaving Majority Association leaders aside has victimized GS AIGETOA by serving majority penalty charge sheet. It has caused panic and now majority Association is desperate to mount pressure on BSNL Management to withdraw the vindictive actions through the agitation of BSNL Unions and Associations on the pretext of 3rdPRC implementation, whereas, CMD BSNL with all the Board of Directors met Hon’ble MOS(C) (I/C) on 16.06.2017 and pleaded for implementation of 3rd PRC in BSNL with 15% fitment benefit, then where is the need of going on strike at this juncture. However, we are against any victimization of Association/Union leaders/members for organizing legitimate Trade Union activities but they should be fair in their approach. Thus, AIBSNLEA never harmed the interest of anyone and never deviated from its policies under the pressure like Majority association. AIBSNLEA is using all the channels to get implemented 3rd PRC with 15% fitment benefit and pension revision. In case if any difficulty is faced in this regard it will not hesitate to take harder Trade Union action programmes in terms of even indefinite strike. AIBSNLEA was never interested to mention above facts but the majority Association write up on their website 15.06.2017 has forced us to explain. We met DGM Finance Circle office and discussed issues pertaining to account personnel. The AO’s who were under the transfer to another circle will be relieved only after the closer of accounts. We met PGM finance and discussed related to revenue and administrative matters, she assured that the matter will be looked into. Why AIBSNLEA is not participating in the agitation call given by the Unions and Associations of BSNL? A meeting of BSNL Unions / Associations was held at New Delhi on 02.06.2017 to discuss the implementation of 3rd PRC with 15% fitment benefit in BSNL. The meeting was convened by Com. P Abhimanyu GS, BSNLEU and was presided over by GS, AIBSNLEA. During discussions, as GS, AIBSNLEA while expressing our concern on 3rd PRC implementation we demanded that the particular Clause of the Rule 14 (1) of the BSNL (REA) Rules, 2013 which prevents executive Association's participation along with the non-executives unions' agitation programs i.e. "Further, the Association will not join hands with the non-executives' unions for furtherance of their issues and / or participate in any kind of joint trade union action." should be deleted / withdrawn. We further explained that during the agitation program of United Forum of BSNL Executives Associations comprising of AIBSNLEA, AIGETOA and AITEEA, for organizing "DHARNA" on 27th and 28th December 2016, all the three General Secretaries were issued "Show Cause" notice to initiate the disciplinary action under BSNL CDA conduct rules, wherein violation of Executives Associations recognition rules was also the charge against us. The sanctioned E/L and C/L for two days on 27th & 28th December 2016 of GS, AIBSNLEA and GS AITEEA were cancelled and a dies-non was made with two days salary cut. This issue was immediately brought to the notice of all the Unions/ Associations and accordingly GS BSNLEU and GS NFTE met CMD BSNL and Director (HR) BSNL and protested against this and gave a letter of protest but BSNL management did not withdrawn the "Show Cause" notices and "salary cut" even after a lapse of five months. We explained that under these circumstances, where we represent the executives of DGM/DE/CAO/EE/SDE/AO/JTO/JAO ranks, it is difficult to participate in the strike call because these executives are the soft target of the management and AIBSNLEA do not have any recognized channel to protect these executives. Hence, BSNL Unions/ Associations first take up the issue with BSNL Management for withdrawal of all the vindictive actions and to stop such actions against the legitimate Trade Union activities of the BSNL Unions/ Associations. But unfortunately it was not given due consideration. The Demand of unconditionally withdrawing the BSNL C.O. letter dated 08.05.2017 banning all trade union activities in BSNL was related to the ongoing agitation of Joint Forum of BSNL Executives Associations. In compliance to the Hon'ble Patiala Court,New Delhi orders it was banned. It cannot be imposed on all the unions/ associations. Presently the matter is being defended by the Joint Forum in the Hon'ble Patiala House Court. This issue should be discussed with BSNL management by both the majority Unions/Associations. We impressed upon that making it a demand of "strike" along with the demand of 3rd PRC implementation is not correct as it dilutes the main demand. Moreover, the Joint Forum of Executive Associations' agitation was mainly to get replacement of E-1A by E2 and E-2A by E3 only wherein they are demanding withdrawal of BSNL's earlier proposal which was send to DOT on 06.06.2016 during the agitation and the demand of United Forum of BSNL Executive Associations comprising of AIBSNLEA and AIGETOA as (1). Replacement of E-1A by E-2 and E-2A by E-2 and E-2 by E-3 pay scales w.e.f. 1.1.2007 and (2). Upgradation of subsequent pay scales E-2 by E-4, E-4 by E-5, E-5 by E-6 and E-6 by E-7 w.e.f. 1.1.2007. This demand of Joint Forum of BSNL Executives Associations has trunked the BSNL's complete proposal and has halved the demand. Hence, AIBSNLEA can't associate with such association's agitation call. In view of the above, AIBSNLEA will extend its solidarity support to the agitation call of BSNL Unions/ Associations on common demand of 3rd PRC related issues implementation. We appreciate the efforts taken by BSNL Management in DOT for the implementation of 3rd PRC with 15% fitment benefits for BSNL employees. Now, CMD BSNL along with all the BSNL Board members are meeting with Hon'ble MOS (C) )(I/C) on 16.06.2017 at 2:30 PM demanding 3rd PRC implementation with 15% fitment benefits in BSNL. In the meeting conducted by CMD BSNL with the representatives of BSNL Unions/ Associations on 03.06.2017, CMD BSNL categorically told that he will make his best efforts for the implementations of 3rdPRC in BSNL and in case he fails in getting implemented 3rd PRC in BSNL he will resign from the post of CMD BSNL owning the responsibility. It is really appreciable stand of CMD BSNL. We should trust his efforts and extend our fullest support to him in his endeavour. AIBSNLEA is continuously making its sincere efforts in convincing the officers in DOT/DPE in person in support of 3rd PRC implementation in BSNL with 15% fitment benefit. We have also requested Hon'ble MOS (C) (I/C) and Secretary (T) to grant us a meeting to represent our views in this regard. Let us, continue our efforts to ensure implementation of 3rd PRC with 15% fitment benefit in BSNL. 04/0602017:- We are happy to congratulate that Srinidhi son of Shri Thimmappa, DGM (T) circle office, our AIBSNLEA member has secured 703 rank in UPSC Exam, which was held recently. RETIREMENT OF FOLLOWING EXECUTIVES ON SUPERANNUATIONS W.E.F. 31/05/2017 A/N . WE WISH THEM VERY HAPPY & PEACEFUL RETIRED LIFE. 29/5/2017:- Our continuous efforts with administration yielded the results. Orders were issued on 29.05.2017 to all AGMs who were waiting for the postings to BGTD, Mysore TD and Hubli TD. We express our gratitude and thanks to the CGM KTK, GM Admn and DGM Admn circle office. We congratulate all AGMs who got their desired postings in Karnataka Circle. 26/5/2017:-CS, com, R.H.Kai.GM Bijapur,com B.S.Patil AGM Bijapur met CGM Ktk circle. We congratulate CGM on his promotion as Adviser (South). Disscused some pending issues, CGM assured looked into. 15/5/2017:- We are happy to congratulate that Kum Arpana V Kulkarni daughter of Shri V V Kulkarni, SDOP Hubli, vice president AIBSNLEA Dharwad SSA has scored 99.04% (619 marks out of 625) in SSLC Exam. We heartly congratulations to all who got promotion as DGM(T). Consistent efforts of GS&his team yielded the results of promotion order. 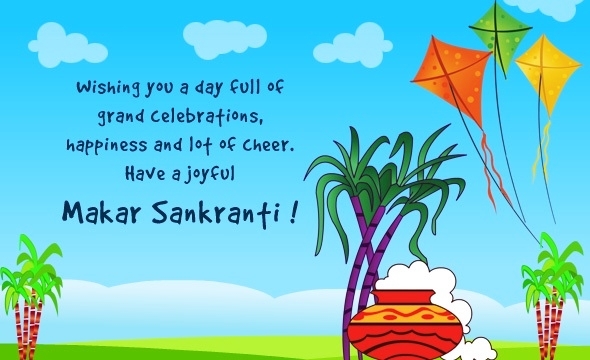 We thanks our beloved GS& CMD BSNL for the same. Wish you a very happy AIBSNLEA Foundation Day. RETIREMENT OF FOLLOWING EXECUTIVES ON SUPERANNUATIONS W.E.F. 30/04/2017 A/N . WE WISH THEM VERY HAPPY & PEACEFUL RETIRED LIFE. The felicitation to com. Kundgol ( AGM Hubli ) on his super annuanitation retirement on 31/3/2017. A program anchored by com. Kulkarni. The program begun with invocation song by com. M V Kulkrni. Com. S B Annehosur (DS) welcomed the gathering and the citation of com. Kundugol (AGM). Mnay members expressed and shared feelings about the working experience and guiding ideas of Kundugol. Com. Kundugol aslo shared his working experience in DOT/MTNL/BSNL. CS has explained about the ongoing DPC’s for all cadres. The DPC’s due to Supreme court SLP filing by BSNL. The present status of DPC of BGMT and DPC completed and expected the posting order will be released shortly. CS explained about FR 22 1 (aI) fixation in case of JTO’s who belonged to AIBSNLEA members and its implementation. Expalined in details about JE2 to JTO (trainees) undergoing training in training centres. Normal produces for trainees to opt for their choice of SSA. The deployment of these JTO’s to SSAs is required judicially and may make the use of best possibility to relive the request transfer of JTO’s/Rule 8 transfers in SSA wise. By doing this all will be satisfied in their postings. Members were interacted and expressed their feelings about relay hunger strike on 25th April to 28th by the other associations whereas associations before membership verification in their agenda MTRR were demanded. After membership verification DGM RR (external) results were declared. All executives were confused to support about the protesting against of their own agenda. Gurav CP and Com S. K. Hiremath, CS were on the Dias. MV. All executive members are under confusion to support such a protest. of latest JAO batch, were replied by CS & CP to their satisfaction. Further Com. Ullas Gurav, CP conducted Election of New Office Bearers for the term 2017-18 t0 2019-20. The newly elected office barriers took a oath which was read by CS. Following Office Bearers are elected for triennial term 2017-18 to 2019-20. Meeting concluded with vote of thanks by Com. Narayan G Gonda, AO Karwar. CS writes to CGM KTK and GS AIBSNLEA CHQ New Delhi in repect of posting of 82 JTOS who are undergoing training. 03.04.2017: Organise Call Attention Day powerfully on 05.04.2017: As per the decision taken in the meeting of Unions and Associations, held at New Delhi on 15.03.2017, Call Attention Day is to be observed on 05.04.2017, by wearing demands badges and conducting gate meetings. Kindly hold lunch hour demonstration on 6.4.2017 at CGM office& all SSA H/Q. As per CHQ direction to protest against the arbitrary notification of DOT OM dated 28.3.2017 for intermediatery pay scales E1A&E2A instead of standard pay scales of E2&E3. Non settlement of pay anomaly Rs.22820/- pay fixation case of JTO/JAO post recruited 2007. RETIREMENT OF FOLLOWING EXECUTIVES ON SUPERANNUATIONS W.E.F. 31/03/2017 A/N . WE WISH THEM VERY HAPPY & PEACEFUL RETIRED LIFE. 24/3/2017:- CONDOLENCE - Sad demise of our beloved member Com. Ashok Kodli SDOP Davangere. May his soul RIP. May god give strength to his family members. The newly elected executive body of BGTD AIBSNLEA along with the President, Com. 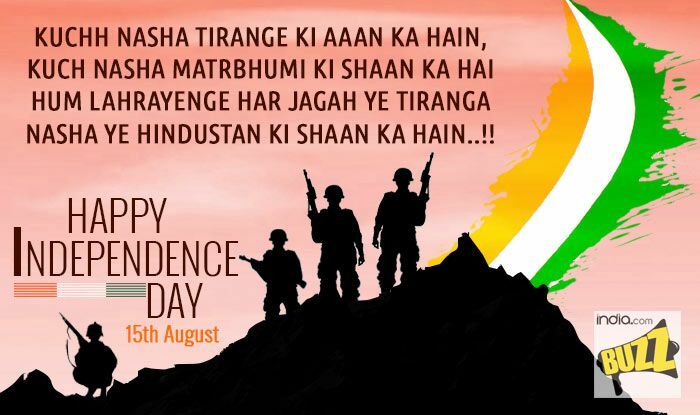 Ulhas Gaurav , Circle Secretary, Com.S.K. Hiramath of KTK Circle and CHQ Vice president Com. Chakoli Appalal met the PGM BGTD and introduced the newly elected office bearers of AIBSNLEA, BGTD to the PGM BGTD. In turn the PGM congratulated the newly elected Executive body. President BGTD, Com. SG. Hegde stressed the need for the deployment of staff for the maintenance of OFC Net work to give/provide FTTH Connections on demand in BGTD SSA. Com. Nagaraju .N , DS BGTD mentioned the proposal from the administration for reduction of un-skilled labours in the field units which will affect the day to day maintenance of BSNL Network . Circle secretary Com. Hiremath mentioned that we are not having copper cable tender since 3 (Three) years in BGTD and also stressed the need for increasing the revenue in BGTD and also requested the PGM to monitor supervisory work by the GM/DGMs regularly . He also mentioned about the HR Issues to be sorted at the earliest. We the association assured to co-operate with the administration in the fullest manner. PGM assured to take necessary action in the above matters and also told that BGTD will get the maximum revenue in next financial year. All the newly elected office bearers were present in the meeting. Click here for the glimpses. CEC meeting was held at 6th floor Auditorium CTO Compound BGTD Bangaluru on 11th March 2017.The meeting began with welcoming the dignitaries to the dias namely Com.Prhalad Rai (GS, AIBSNLEA CHQ New Delhi), Com.Ulhas Gurav (President, AIBSNLEA KTK Circle), Com.Shivakumar (President CHQ) Com.Shashidhar K Hiremath (Circle Secretary, KTK Circle), Com.Chakolli Appa Lal (Vice President CHQ),Com M.S. Srinivas Advisor CHQ, Com.Veerabhadra Rao Vice President AIGETOA,CHQ Com Ashok Shigli President AIGETOA KTK Circle, Sunder Raj Circle Secretary AIGETOA, KTK Circle by the District Secretary Com. Nagaraju N..
One minute silence was observed in memory of the departed comrades. Com Ulhas Gurav President, AIBSNLEA KTK Circle has presided over the function. Self introduction was made by all the Office bearers who were present in the house. In the opening remarks, Circle President Com Ulhas has congratulated all the SSA District Presidents, District Secretaries and all the active Members who have contributed a lot for the success of 1st Membership verification and also requested all the Office Bearers to enhance the membership in their respective SSAs in the days to come. District Secretaries of different SSAs submitted the detailed report. Com.Prahlad Rai, GS, in his inspiring speech elaborately explained about latest status of the viability of BSNL, The HR issues viz., JTO to SDE CPC, SDE to DE CPC, AO to CAO CPC, JAO to CAO CPC CPSU cadre hierarchy, Extension of 30% Superannuation Benefit to the BSNL recruited employees, Scrapping of MT /DGM RRs, Pay fixation of Offg. JTOs , Extension of 22,820 as initial basic to the executive's recruited post 01.01.2007, Standard pay scale implementation and all the activities being undertaken at CHQ level for the betterment and growth of both the executives and BSNL including the pending 3rd PRC benefits. AIBSNLEA have been trying for the settlement of long pending HR issues in the several formal/informal meetings with the BSNL management, but even after the written assurances given, none of the pressing issue has been settled till date. It has caused serious frustration among the executives. One JTO recruited in the year 1995 and having completed 21 years of service in one cadre, one SDE of year 2000 have completed 16 years' service as SDE is waiting his second promotion to the post of DE. Similar is the situation in civil/Electrical/Arch/Telecom Factory, Engineering wings and Accounts & Finance wing of BSNL. All these promotions stuck on the pretext of pending Court cases. But these cases were never defended by BSNL seriously in the court which resulted stalling the CPCs and stagnation in the career of executives. The fact remains that wherever the management is serious the early settlement of the court case wherever they take serious efforts and get immediate dispose off the case. But our court cases are being handled in a routine manner. In view of the growing frustration, BSNL management should defend all pending court cases with upmost priority and seriousness. Similar is the situation wherein all other HR issues lying unsettled ie. E-2,E-3 standard pay scales to JTO/SDE equivalent executives, CPSU cadre hierarchy implementation, First Time Bound promotion on 4 years of service in all cases,Rs.22820/- pay fixation to all the JTOs/JAOs, recruited post 2007, 30% superannuation benefit with 12% contribution from BSNL w.e.f 1.1.2007, posting of LDCE qualified JTO to SDEs, restructuring of AD(O/L) cadre, PPS post creation with all PGMs, E1+5 advance increments to JTO(SRD), JAO-2013 batch and PA cadre, E-5 to E-6 grade promotion to DGM Adhoc under EPP, 50% diversion of MT quota CAO posts to seniority quota etc. In the above important HR issues the E-2, E-3 standard pay scales to JTO and SDE equivalent executives, proposal is pending in DOT since for the last 3-4 months. Adl. Secy (T) has clearly mentioned in the file that E-1A and E-2A pay scales should be approved by Cabinet in BSNL and in future JTO/JAO equivalent should be recruited in E-1 scale only. BSNL management is yet to take up the matter with Secy. (T) for his kind intervention before 3rd PRC implementation otherwise it will put executives in huge financial loss while implementation of 3rd PRC. CPSU cadre hierarchy proposed by Khan Committee has been disagreed by BSNL pers cell and now a new CPSU cadre hierarchy is being drafted to ensure MT recruitment at STS level. Hence the Khan committee recommendation on CPSU cadre hierarchy have been ignored. The committee on Rs.2820/- pay fixation is under discussion but some members of the committee are yet to change their view in support of this 22820/- implementation. On 30% SAB, a trust has now been created with the untiring efforts of United Forum with 3% contribution but it has to increase up to 12% with the effective date of 1.1.2007. The HR issues i.e, LDCE qualified JTOs posting as SDE(T) after modification of SDE(RR) E1+5 advance increments to JTO(SRD) JAO-2013 batch and PA cadre, 50% MT (CAO) posts diversion to seniority quota etc. are yet to be cleared by the BSNL Board. Like this many other HR issues also pending for settlement. All these issues can be resolved when BSNL Management gives a serious thought on these issues. Most of the issues remained pending for settlement on the pretext of membership verification and now two months are over after MV but none of the issue is towards settlement. Now the recognized Association has also the responsibility to ensure for early settlement of all the pressing HR issues on priority rather than threatening and harming the members of other Associations. Members interacted with GS in respect of DPC, implementation of 3rd PRC, retention to Karnataka circle. Com Shivakumar President CHQ addressed the members, in respect of pay fixation of JTO officiating FR 22 (I)(A)(1),FR 35(A),other related matters. Com President Ulhas Gurav has summed up the DS reports and clarified all the points raised by the members. Com Nagaraju N, District Secretary BGTD thanked GS AIBSNLEA for updating all the information and latest status of CPC, of various cadres and 3rd PRC and other related matters and also thanked Com Shivakumar President CHQ for his address. He thanked CP/CS circle office bearers and CHQ office barriers for their presence and he thanked each and everyone for their active participation in smooth conducting of the CEC meeting. 5th District Conference AIBSNLEA BGTD was held On 10th March 2017 At 6th floor Auditorium CTO Compound BGTD Bangaluru -1, in a grand manner in the presence of GS AIBSNLEA CHQ. The programme was anchored by Smt. Meena Kumari PA to GM Finance BGTD. The auditorium was jam packed with members. General Secretary Com Prahald Rai was welcomed to the house with thunderous slogans shouting by the members assembled. Com. Meena kumari Welcomed the dignitaries to the dias namely Com.Prhalad Rai (GS, AIBSNLEA CHQ New Delhi), Com.Ulhas Gurav (President, AIBSNLEA KTK Circle), Com.Marappa (President BGTD) Com.Shashidhar K Hiremath (Circle Secretary, KTK Circle), Com.Chakolli Appa Lal (Vice President CHQ), Com.Anjanaya (FS BGTD), Com.D Chenna Bassapa (GM West BGTD). One minute silence was observed in memory of the departed comrades- namely Com. Sarasambi (PS BGTD), Smt. Vidhya (JAO BGTD). Com.Marappa (President, BGTD ) has presided over the function. The meeting started with the Invocation by Smt.Vani Punekar and Smt.Jayshree. The dignitaries were welcomed with bouquet by Com. Nagaraju N. Com. District Secretary BGTD Com Hiremath has presented the detailed report for the period. During the period he has increased the membership to 426 in the district and maintained a good cordial relationship with administration, solved many welfare measures of numbers. He thanked all the members and Circle office bearers and CHQ office bearers for their valuable support and guidance in discharging the duties. Com.Anjaneya (FS) has submitted the financial report for the period. The reports were approved by house with full applause. President Marappa dissolved the existing body and appointed Com.Ulhas V Gurav (CP KTK Circle) as a Chairman to conduct election. All the new officer bearers were elected unanimously. Com.Shambulinga Hegede CAO (SE), Com.Nagaraju N SDE Sanjaynagar, & Smt. T Radha Boppanna JAO HQ, were elected as President, District Secretary and Finance Secretary respectively. Thereafter, the oath taking for the new office bearers was conducted by General Secretary. The Office Bearers Com. Marappa (DGM F BGTD), Com. Nagaraj Swamy (SDE BGTD), Com. Mahantesh Banagar (AGM Circle office) who retired were falicitated by GS with bouquet and memento. Com. Shashidhar Hiremath (CS KTK circle) presented bouquet with a momento to beloved GS CHQ Com. Prahald Rai. Com.Prahlad Rai, GS, in his inspiring speech elaborately explained about latest status of the viability of BSNL, The HR issues viz., JTO to SDE CPC, SDE to DE CPC, AO to CAO CPC, JAO to CAO CPC CPSU cadre hierarchy, Extension of 30% Superannuation Benefit to the BSNL recruited employees, Scrapping of MT /DGM RRs, Pay fixation of Offg. JTOs, Extension of 22,820 as initial basic to the executive's recruited post 01.01.2007, Standard pay scale implementation and all the activities being undertaken at CHQ level for the betterment and growth of both the executives and BSNL including the pending 3rd PRC benefits. AIBSNLEA have been trying for the settlement of long pending HR issues in the several formal/informal meetings with the BSNL management, but even after the written assurances given, none of the pressing issue has been settled till date. It has caused serious frustration among the executives. One JTO recruited in the year 1995 and having completed 21 years of service in one cadre, one SDE of year 2000 have completed 16 years' service as SDE is waiting his second promotion to the post of DE. Similar is the situation in civil/Electrical/Arch/Telecom Factory, Engineering wings and Accounts & Finance wing of BSNL. All these promotions stuck on the pretext of pending Court cases. But these cases were never defended by BSNL seriously in the court which resulted stalling the CPCs and stagnation in the career of executives. The fact remains that wherever the management is serious the early settlement of the court case wherever they take serious efforts and get immediate dispose off the case. But our court cases are being handled in a routine manner. In view of the growing frustration, BSNL management should defend all pending court cases with upmost priority and seriousness. Similar is the situation wherein all other HR issues lying unsettled ie. E-2,E-3 standard pay scales to JTO/SDE equivalent executives, CPSU cadre hierarchy implementation, First Time Bound promotion on 4 years of service in all cases,Rs.22820/- pay fixation to all the JTOs/JAOs, recruited post 2007, 30% superannuation benefit with 12% contribution from BSNL w.e.f 1.1.2007, posting of LDCE qualified JTO to SDEs, restructuring of AD(O/L) cadre, PPS post creation with all PGMs, E1+5 advance increments to JTO(SRD), JAO-2013 batch and PA cadre, E-5 to E-6 grade promotion to DGM Adhoc under EPP, 50% diversion of MT quota CAO posts to seniority quota etc. In the above important HR issues the E-2, E-3 standard pay scales to JTO and SDE equivalent executives, proposal is pending in DOT since for the last 3-4 months. Adl. Secy (T) has clearly mentioned in the file that E-1A and E-2A pay scales should be approved by Cabinet in BSNL and in future JTO/JAO equivalent should be recruited in E-1 scale only. BSNL management is yet to take up the matter with Secy. (T) for his kind intervention before 3rd PRC implementation otherwise it will put executives in huge financial loss while implementation of 3rd PRC. CPSU cadre hierarchy proposed by Khan Committee has been disagreed by BSNL pers cell and now a new CPSU cadre hierarchy is being drafted to ensure MT recruitment at STS level. Hence, the Khan committee recommendation on CPSU cadre hierarchy have been ignored. The committee on Rs.2820/- pay fixation is under discussion but some members of the committee are yet to change their view in support of this 22820/- implementation. On 30% SAB, a trust has now been created with the untiring efforts of United Forum with 3% contribution but it has to increase up to 12% with the effective date of 1.1.2007. General Secretary congratulated the new team headed by Com Nagaraju N, in BGTD and stressed upon the need to strengthen the association and enhance the membership in BGTD. He also assured that the case is presented by the BGTD comrades especially that of JAOs of 2000 batch, will be taken up and pursued at CHQ level. The Conference concluded with a vote of thanks by Com Bhujanga Bhushana, SDE (Civil), ADS BGTD. The Conference ended with National Anthem. Account Details of AIBSNLEA KTK CIRCLE as follows. GS/PRESIDENT AIBSNLEA CHQ will address the general body on 10th March 2017(Friday) at 15.00hrs in 6th floor Auditorium PGM office CTO compound. All members from Bangalore are requested to attend without fail. GS will address about 3rd PRC,DPC,etc. GS will address CEC meeting on 11th March 2017(Saturday) from 9 AM to 6 PM. All DS/DP/circle office bearers/CWC members /CHQ office bearers in ktk circle are requested to attend with required data namely Quota(CHQ,Circle),Dairies 2017 amount, membership ,any other information pl. RETIREMENT OF FOLLOWING EXECUTIVES ON SUPERANNUATIONS W.E.F. 28/02/2017 A/N . WE WISH THEM VERY HAPPY & PEACEFUL RETIRED LIFE. Shashidhar Hiremath CS AIBSNLEA,Sunderaj CS AIGETOA, Sudarashan DS BSNLEU BGTD met DIR CFA Shri N K Gupta along with CGM Karnataka and PGM BGTD, in PGM Office BGTD, Bangalore, and discussed in respect of acute shortage of OLT equipment and ONT. MLLN modems, replacement of paper core cable, WiFi hotspots. Director CFA mentioned to us in respect of shortage of MLLN modems will be made available within 2 months time, OLT equipment will be diverted from the different circles, PRI equipment can be borne by customers. He addressed us how to increase the revenue of BGTD and advised us to increase the customers. We hereby announce to hold CEC Meeting of AIBSNLEA Karnataka Circle at Bangalore on 11th March 2017, Saturday, from 9 AM to 6 PM. Circle Office Bearers, the District/Division/Branch Presidents & Secretaries and CWC Members and CHQ office bearers in Karnataka have to reach Bangalore on 11th March 2017. CEC Meeting Venue: O/o of PGM, BGTD Auditorium, 6th Floor, Rajbhavan Road, next to GPO. Alighting Point : From Majestic metro station to Cubbon Road Stop. From Ulsoor IQ, trinity metro station to Cubbon Road Metro stop. All district / divisions / branches are requested to pay up to date CHQ / Circle quota and diaries of 2017 amount to finance secretary. It is requested to hold general body meeting of your division and discuss the issues mentioned in the notice. Kindly furnish the information of your division in the format enclosed herewith at CEC Meeting. We requested CGM to forward the option of SDEs to TERM SHELL. We mentioned the options of SDEs are pending with BGTD administration. CGM will direct to PGM BGTD to forward the same at the earliest. We requested CGM to consider the request transfer of JTOs. CGM mentioned that already the decision has been taken to consider the request transfer of JTOs. The order will be issued today itself and considering 24 request transfer of JTOs was published in the circle intranet. We congratulate the JTOs who are covered in the posting and transfer list. We requested CGM to consider rule 8 transfers of JTOs which will be accepted by different circles to the maximum extent, not only limiting to 74. CGM mentioned to us matter will be looked into. The letter has been addressed to CGM in respect of rule 8 submitted by the AIBSNLEA and AIGETOA. We requested CGM to minimize the long standing SDEs from Bangalore, Hubbali and Belgaum (popular SSA). CGM mentioned that it will be done judiciously. RETIREMENT OF FOLLOWING EXECUTIVES ON SUPERANNUATIONS IN THE MONTH OF JANUARY 2017. WE WISH THEM VERY HAPPY & PEACEFUL RETIRED LIFE. CGM has directed GM admin AGM staff to comply screening committee report accordingly the report has been sent to corporate office with available APAR’S along with VC’s on 31/1/2017. (Soft copy and hard copy by speed post). We thank CGM and GM admin DGM admin and AGM staff for their timely action. We requested CGM to reconcile posting of above AGM’s to post them their place of choice and some chronic medical cases of our members to consider their place of choice. CGM has told us to look into the matter. We requested CGM to give direction to follow the revised rule 8 transfers guidelines from corporate office and revise the waiting list of JTO’s and we requested JTO’s who have completed the tenure period in different SSA’s to consider their request as a fresh JTO’s who have recruited undergoing training. CGM assured that the matter will be looked into. We requested CGM to give the direction to PGM/GM BGTD for proper deployment of staff in the field units for maintaining network. We requested CGM to provide calendar of events in respect of time bound promotion so that this may help for all cadres to follow up for completion of CR’s. CONGATULATIONS : The request transfers of SDE’s from one circle to another has been announced by corporate office. CS has perused our members case namely com. B.S Patil (SDE) com. S.S Patana Shetty with GS CHQ/office barriers and yielded the results. CS has persused with GM Finance circle office and DGM (F) admin in respect of transfer of com. Basavaraj Shetty (AO Bidar) to AO Gulbarga. The orders were issued accordingly. We congratulate the comrade. As preparatory work for DPC in respect of AGM (T) to DGM (T) adhoc is in full swing. Corporate office asking for APAR from 2010 to 2015. Eligible AGM (T) list is published in circle office intranet. All are requested to make necessary arrangement to complete the APAR along with shown certificate and see that it should reach KTK circle office at the earliest as these APAR are required to corporate office on or before 30/1/2017. Some AGM’s have reported to KTK circle from different circles are also requested to their completed TBP at different circles held reports are required for the DPC. With continuous pursuance from our association yielded the results in respect of TBP for PA/PS cadre. The orders will be published on 23/1/2017. We congratulate all PA/PS who got their TBP. We enquired the status of TBP, administration mentioned that work in progress as some clarifications are sought from the field units as soon as clarifications are received and the orders will be issued. We learnt from the administration 11 JTO’s postings were issued against request transfers/shortages in SSA. 4/1/2017: RETIREMENT OF FOLLOWING EXECUTIVES ON SUPERANNUATIONS IN THE MONTH OF DECEMBER 2016. WE WISH THEM VERY HAPPY & PEACEFUL RETIRED LIFE. It is evident that competent authority issued order regarding grant of the facility of deduction of subscription to AIBSNLEA. All members are requested to fill up membership form at the earliest and make of available to best possible way to reach the district office/circle office barriers. The above action is the fitting reply to the sister association which they were misleading our members. Once again we appeal all the members to be confident with AIBSNLEA. A well-organized gathering at Quality assurance division (Sanchar Complex Compound) by Branch secretary com. Nalwad. During lunch time many members were present. Com. Ullas Gaurav (President KTK circle), Com Shashidhar Hiremath (CS KTK Circle), Com. Chakoli (VP CHQ), com. Bala-reddy (EX CWC member) Smt. Mamatha (Branch President) were on the dais. The welcome speech was delivered by com. Nalawad and all the dignitaries were welcomed by a bouquet. Com. Ulaas Gaurav addressed the gathering and explained the present status of association he congratulated all members being voted to our association in the MV. He emphasised that our association will get recognition very shortly We are protesting for the same and he appreciated the active participation in the organisational matters and he appealed all members to support for the right cause which we are protesting. He shared his feeling with the members during the election campaign which we were toured all over ktk. The good response from all over SSA in particularly Bangalore circle office where in we have won by a good margin of votes. He thanked the organizers for arranging the get together function. CS AIBSNLEA and CS AIGETOA addressed the gathering at NOC (Bangalore East), Circle office and members expressed a good gesture about in detail explanation about the recognition about the agenda points. Day dharna at circle office members were gathered during lunch hour. Slogans were taken. CS AIBSNLEA addressed the gathering and mentioned the importance of dharna and work according to the rules. In detail expressed about the getting the recognition is our right. We request all the members to raise to the occasion and be unite and we have to exhibit our solidarity. Since, no assurance is given by the BSNL Management for the settlement of our long pending HR issues and recognition to AIBSNLEA, UF request all the CHQ/Circle/District Office Bearers to implement successfully the Organization program as per the schedule with the participation of 100% members. Meeting with RLC (C) New Delhi. GS, AGS (HQ) along with GS, AIGETOA and GS, AITEEA attended the meeting called by the RLC (C), New Delhi on the issue of the Notice for protest and organizational action program against the delay in settlement of burning HR issue. DGM (SR), along with DGM (Estt) and AGM (SR) represented the Management side. We categorically mentioned that our intention by way of agitation is just to attract the attention of apex management toward the issues which are pending since long and the management is not holding discussions & taking decision. Representatives from Management side were not in a position right now to commit anything about the steps/decisions to be taken on the issues. RLC (C) then advised the representatives to ensure that the existing industrial relations status of the organization is not derailed at any cost. Management may also take appropriate steps/decisions in order to resolve the issue. Both the parties are advised to adhere the Section 22 and Section 33 of the Industrial Disputes Act, 1947. Implement Agitation Call given by United Forum of BSNL Executive Associations: 100% Participation in two Days Dharna (i.e. 27th and 28th Dec., 2016) at SSA/Circle and BSNL CO level - BSNL Management with an indifferent and callous attitude is ignoring the settlement of genuine demands of BSNL Executives. Many important HR issues are unsettled due to the total negligent attitude of the management. AIBSNLEA has won 17 Circles and majority of SSAs during Membership Verification but has not been given recognition of majority executive association , hence the democracy has been killed. Against this onslaught, United Forum has given the call of agitation, it is the situation of do or die. All the CHQ Office bearers, Circle/Branch Secretaries are requested to implement the organizational action program by 100% participation successfully. All members are requested to click the above membership form, download the same, take a print fill up form at the earliest. Try maximum possible way to reach your district office bearers of respective SSA. District office bearers are requested to make arrangement to collect the duly filled mandatory form and submit to DDO’s on or before 14 January 2017 duly signed by DS/DP/FS of respective SSA’s. All members are requested to maintain the loyalty towards AIBSNLEA. SNEA(I) is making a mispropoganda for the membership campaign in respect of collecting the mandatory forms from our loyal members. You’re here by requested not to yield for such mispropoganda. We have got every right to claim recognition. We have learnt from CHQ stating that corporate office will issue the official the orders for collecting the monthly subscription through mandatory forms to our association. At any cost all member are requested not to give mandatory form to SNEA(I). 18/12/2016:- All members are requested to participate in the strike programme as scheduled in your SSA and BGTD, QA, STR, STP, CACT and all field units assemble in Circle office during Lunch hour on 20/12/2016 and make it a grand success. 1. Recognition to AIBSNLEA as 2nd majority association at all India level with facilities at par with first majority association and as a 1st majority association in all those Circles/SSAs where it has secured majority. 2. Extension of 22,820 as initial basic to the executive's recruited post 01.01.2007. 3. Replacement of intermediate Pay Scales E1A, E2A by Standard Pay Scales of E2-E3 for JTO and SDE equivalent executives. 5. Implementation of CPSU Hierarchy in line with the recommendations of the Khan Committee. 6. Issuance of Posting Orders for LDCE-2015 qualified candidates and notification of SDE RRs. 9. Resolution of pending Rule-8 cases and clearance of waiting list from the JTOs qualified through LICE. 11. Notional Pay fixation of all upgraded pay scales w.e.f. 01.10.2000 of JTO/SDE (C/E/Arch/TF) Engg. Wings and PA cadre. 13. Diversion of 50 Percent MT quota CAO Posts to the seniority quota. 14. Extension of E1+5 increments to JTO SRD, JAO 2010, 2013 and 2015 batches. 15. Removal of Pay anomaly of JTOs Promoted from TTAs of outside quota. 1. 20th December 2016: Massive Demonstration at SSA/circle/BSNL CO during Lunch / Closing Hrs. 2. 27th and 28th December 2016: 2 Days Dharna at SSA/Circle and BSNL CO level. 3. Work According to Rules and Complete Non-Cooperation with effect from 27th December 2016. 4. “Dilli Chalo” w.e.f. 10th January 2017 for Indefinite Dharna at BSNL Corporate Office New Delhi till resolution of the issues. All the CHQ Office Bearers, Circle/District Secretaries are requested to make the above program a grand success. All office bearers/members are requested to participate in strike (absent from duty) on 15/12/2016 (Thursday) along with all union / associations to protest against the formation of tower company in BSNL. We express hearty gratitude for untiring campaign by all comrades CHQ office barriers, Circle office barriers, District office barriers and active members during first member ship verification. In Karnataka circle all SSA’a our association has shown tremendous contribution towards voting in a rising manner. We got very minimum margin of a difference and it exhibits the stiff competion. We request all members to maintain a same tempo of spirit towards association in days to come. We thank each and every members of AIGETOA for their contribution and remeberable support to our association. We continue to extend support to AIGETOA and AITTEEA (UNITED FOURM ). Click here for the glimpses. Our esteemed loyal comrades got prestigious meritorious award (Visistha Seva Padhak) for the year 2014-15 to DS Kolar Sri Srinivas Murthy SDE Kolar SSA . Well organised gathering at Kolar during lunch hour. CS, CP AIBSNLEA, CS CP, AIGETOA, com. Narayana (DP), com. Srinivas Murthy (DS), com. Bala Gandhi (DS AIGETOA), com. Shivappa (DP AIGETOA), com. Pujari (ACS ABSNLEA) com. Raghavan (CAO) Kolar SSA were on the dias. DS Kolar SSA welcomed the dias and gathering. CS AIBSNLEA addressed the gathering and shared his views in respect of cancellation of MT RR and also he explained in detail about MT RR. In absence of MT RR BSNL recruitee / BSNL absorbed executives will get carrier progression up to the level of GM/CGM. MT RR cancellation was achieved by AIBSBLEA/AIGETOA. He mentioned association will guide the members not to go to court cases in respect of transparent posting whereas sister association claims that having achieved through CAT/COURT cases of an individual members. It is clearly misleading the members that they have achieved, but it is not say so. Lastly he appealed all members to vote for SL No 1 on 7/12/2016. CS AGETOA addressed and shared his views why they are supporting AIBSNLEA. It is transparent, sincere, supporting young recruiters. AIBSNLE AIGETOA achieved many agendas through organisational matters. He appealed to everyone to vote for SL No 1 on 7/12/2016. CP AIGETOA addressed the gathering and requested all the members to vote for SL No 1 on 7/12/2016. CP AIBSNLEA addressed the gathering and explained in detail about the status of DPC of all cadres and achieved by AIBSBLEA. During DOT period the recruitment of lateral entry through UPSC were called ADET/ACAOs. Due to this many pro motive officers were not getting their promotions. After formation of BSNL the scenario changed and we were getting promotions for all cadres. The same procedure were followed for the MT RR with the protest of AIBSNLEA AIGETOA. MT RR were cancelled. He explained about the achievements of 3P’s and CPSU hierarchy. He appealed all of us should for SL NO 1 on 7/12/2016. Com. Sesha Giri (SDE Kolar) expressed vote of thanks. Well organised gathering at Tumkur during lunch hour. CS, CP AIBSNLEA, CS CP, AIGETOA, com. Shiv Shankar (DP), com. Bharath Kumar (DS), com. Satyappa (FS AIBSNLEA), com. Nagaraju Rao (DGM Finance), com. Rama Swamy (AGM) were on the dias. DS Tumkur SSA welcomed the dias and gathering. Com. Harish G (AS Tumkur) expressed vote of thanks. CS CP AIBSNLEA, CS CP AIGEATOA will visit Kolar, Tumkur SSA on 24/11/2016 during lunch hours and at 16 hours respectively in respect of membership verification campaign. ALL MEMBERS ARE REQUESTED TO ATTEND AND MAKE IT A GRAND SUCCESS. ELECTION CAMPAIGN AT MANGLORE ON 21/11/2016. The program well organised more members gathered in a hall. CS,CP AIBSNLEA, CS CP AIGETOA, Com. Shivaram Karanth DP, com. Manjappa DS, AIBSNLEA, DS,DP AIGETOA Mangalore SSA were on the dias. Co. Manjjappa DS welcomed the dias and gathering. Com. Manjjappa anchored the program and spoke in length about member ship verification and smooth function with administration and appealed to vote for SL no 1 AIBSNLEA. CS AIBSNLEA addressed the gathering and explained in detail about achievements during DOT period namely historical achievement of RS 1640 scale for JTO and above cadres, advantages/disadvantages MT RR/DGM RR in the absence MT/DGM RR all cadres will get carrier progression up to GM/CGM level. If not all cadres will not get carrier progression. They may retire as maximum as AGM/CAO. AIBSNLEA is for abolishing MT/DGM RR. AIBSNLEA/AIGETOA succeeds in cancellation for MT/DGM RR where as SNEA fighting for MT/DGM RR. This will stop the carrier progression of DR’s. He applead for all members to vote for SL No 1 AIBSNLEA on 7/12/2016. He requested all members even if they are on leave (any kind) they can cost their vote with carrying the BSNL ID Card. CS AIGETOA addressed the members and explained in detail about the liking/supporting to AIBSNLEA. The AIGETOA struggle was addressed by GS AIBSNLEA and addressed all welfare measures of DR’s. He shared his feelings the historical achievements of 3 p’s during May 2016.He applead all the members irrespective of their association to cost their vote for SL No 1 AIBSNLEA on 7/12/2016. Circle President Com. Ulhas V Gurav in his speech congratulated the DKTD Association for their active participation in all the organisational activities. Circle President in his address described about the need of membership verification. He emphasized on settlement of the grievances and personalize mobilisation of the executives in favour of AIBSNLEA to take lead in the referendum. Also elaborated the achievements of AIBSNLEA after formation of BSNL. 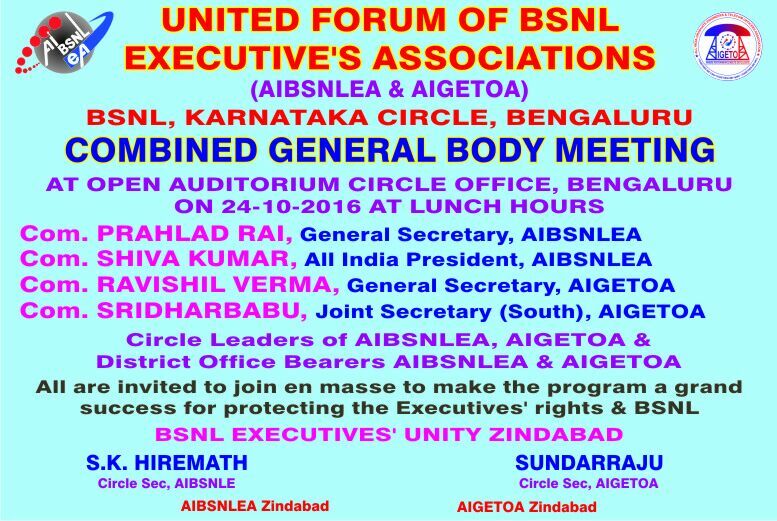 He appealed all The executive to be unite and cast their vote in favour of AIBSNLEA for the better future of executives as well as BSNL. He also detailed about the 60:40 pension issue. Welcomed the new JAO's to the AIBSNLEA fraternity. He criticized the standoff sister association regarding recruitment of MT from outside and also up gradation of E1 and E2 scale only. He appealed to all the members to cast their valuable vote on 7th December in favour of AIBSNLEA. DS AIGETOA has shared his feelings in respect of the Ernakulum court case of LICE recruitment. The SNEA has mis lead all members of Kerala in the court case and he appealed all members to vote for SL No 1 AIBSNLEA on 7/12/2016 and expressed the vote of thanks. Click here for the glimpses. CP, CS AIBSNLEA, CP, CS, AIGETOA will visit Mangalore SSA on 21/11/2016 in respect of membership verification campaign. All members of Mangalore SSA are requested to attend and make it a grand success. All DS are requested to print the sticker and poster depending upon the SSA requirement. Kindly make necessary arrangement to distribute the pomp lets to all executives irrespective of the association at the earliest please. To print the pomp lets/stickers your reqested to view the CHQ website published on 19/11/2016. We congratulate all 54 JAO’s who have successfully completed training and got their postings in the best possible way. At Mysore AIGETOA Branch opened. Com. Sharath Kumar was elected as a DS AIGETOA Mysore SSA. The function was arranged DS AIBSNLEA at Lakshmi Puram exchange. A huge gathering assembled. CS AIGETOA addressed gathering and appealed to vote for SL No1 AIBSNLEA on 7/12/2016. Com. Krishne Gowda ACS AIBSNLEA addressed the gathering. Com. Sharath Kumar addressed the gathering and appealed to vote for SL No1 AIBSNLEA. Click here for the glimpses. The programme was arranged during lunch hour. CP, CS AIBSNLEA, CP, of AIGETOA, were on the dias. Com. Nagaraj (SDE HRD), Joseph (DS Chikkamagaluru), Sukmar (AGM), Harnanda (IFA) were present in the function. CS AIBSNLEA addressed the members and gave a detailed achievement of AIBSNLE at CHQ/Circle level. He congratulated all the members of active participation in the recent agitation programmes. He explained in detail about manifesto of AIBSNLEA published by CHQ. AIBSNLEA is a multi-cadre associations viz. PA/PS, ADOL, CIVIL, ELECTRICAL, Telecom factory, Finance, Eng. He mentioned about the recent promotion of SDE Electrical to EE Electrical. The efforts of CHQ has yielded the results. With our persuasion for the promotion of SDE Civil to EE Civil. Re structure ADOL file has been sent to DOT for clearance. The status of ongoing DPC’s for JTO to SDE, SDE to AGM, AGM to DGM(ENGG. ), JAO to AO and AO to CAO, PS to PPS was explained in detail. He mentioned the advantage of scrapping of MT/DGM RR. In the normal course of DPC’s DR’s will vision about their promotion (vertical) up to the level of CGM’s and above. If not they retire as maximum of SDE/AGM/AO/CAO. So AIBSNLEA persued with administration and seen that MT RR are cancelled. The cancellation MT RR order was published on 10/11/2016 from the croporarte office New Delhi. We have received feedback from all DR’s from all over the country that they are very happy with order. All the DR’s expressed their solidarity towards AIBSNLEA. He appealed to all members (AIBSNLEA AND AIGTOA) to vote for AIBSNLEA (Sl no 1. Published in the ballet paper. )and he expressed thanks and gratitude to all members of Chikkamagaluru SSA for their excellent hospitality. Circle President AIGETOA com. Ashok Shiglle addressed gathering and explained in detail about liking towards AIBSNLEA and MOU with AIBSNLEA. He shared his views during their agitation program in 2013. Our beloved GS AIBSNLEA had addressed them in Janthar Manthar New Delhi and guided AIGETOA members and achieved their welfare. He appealed to all to caste their vote on 7/12/2016 to SL NO1 AIBSNLEA. CIRCLE PRESIDENT com. Ullas Gaurav summarised all the points of AIBSNL achievements and applead to vote for Sl No. 1 AIBSNLEA and make it a number 1 majority of executive of association and exercise your valuable votes on 7/12/2016.Member of Chikkamagaluru SSA had an interaction with the leaders and cleared their doubts. Click here for the glimpses. The programme began with invocation song Smt. Meenakshi. CP, CS AIBSNLEA, CP, of AIGETOA, were on the dias. Com. Venktesh anchored the program. Com Sunil Kumar (DS Shivmogga) welcomed the dias and members. Com. Rajjappa DP, Parameshwara, Vijay Kumar Hiremath DGM (T), S.S Ritti (DGM Finance), DS/DP Of SNEA, DP BSNL EU were present in the function. CS AIBSNLEA addressed the members and gave a detailed achievement of AIBSNLE at CHQ/Circle level. He congratulated all the members of active participation in the recent agitation programmes. He explained in detail about manifesto of AIBSNLEA published by CHQ. AIBSNLEA is a multi-cadre associations viz. PA/PS, ADOL, CIVIL, ELECTRICAL, Telecom factory, Finance, Eng. He mentioned about the recent promotion of SDE Electrical to EE Electrical. The efforts of CHQ has yielded the results. With our persuasion for the promotion of SDE Civil to EE Civil. Re structure ADOL file has been sent to DOT for clearance. The status of ongoing DPC’s for JTO to SDE, SDE to AGM, AGM to DGM(ENGG. ), JAO to AO and AO to CAO, PS to PPS was explained in detail. He mentioned the advantage of scrapping of MT/DGM RR. In the normal course of DPC’s DR’s will vision about their promotion (vertical) up to the level of CGM’s and above. If not they retire as maximum of SDE/AGM/AO/CAO. So AIBSNLEA persued with administration and seen that MT RR are cancelled. The cancellation MT RR order was published on 10/11/2016 from the croporarte office New Delhi. We have received feedback from all DR’s from all over the country that they are very happy with order. All the DR’s expressed their solidarity towards AIBSNLEA. He appealed to all members (AIBSNLEA AND AIGTOA) to vote for AIBSNLEA (Sl no 1. Published in the ballet paper. )and he expressed thanks and gratitude to all members of Shivamogga SSA for their excellent hospitality. CIRCLE PRESIDENT com. Ullas Gaurav summarised all the points of AIBSNL achievements and applead to vote for Sl No. 1 AIBSNLEA and make it a number 1 majority of executive of association and exercise your valuable votes on 7/12/2016.Member of Shivamogga SSA had an interaction with the leaders and cleared their doubts. Com. Rajjappa DP delivered the vote of thanks. Click here for the glimpses. CP, CS AIBSNLEA, CP, of AIGETOA, were on the dias. Com. Kanth Raj welcomed the dias and gathering. Com Chelluva Raj (DP Hassan), DGM (T) Shri Umesh, DGM (F) Sri A.S Ritti were present in the function. CIRCLE PRESIDENT com. Ullas Gaurav summarised all the points of AIBSNL achievements and applead to vote for Sl No. 1 AIBSNLEA and make it a number 1 majority of executive of association and exercise your valuable votes on 7/12/2016.Member of Hassan SSA had an interaction with the leaders and cleared their doubts. Com. Chelluva Raj DP delivered the vote of thanks. Click here for the glimpses. CP, CS AIBSNLEA, CP AIGETOA, will visit Chikamagaluru on 18.11.2016, and will address the members during lunch hours in view of membership verification campaign. District office bearers and circle office bearers and all members are requested to attend the meeting and make it a grand success. CP, CS AIBSNLEA, CP, AIGETOA, will visit Shivmoga on 18.11.2016 @ 16 hours and will address the members in respect of membership verification campaign. District office bearers and circle office bearers and all members are requested to attend the meeting and make it a grand success. Mysore Comrades are unite, showed their solidarity and loyalty to AIBSNLEA. No members of our Mysore SSA did not join any other sister association. We humbly request not to listen to any propaganda. 5 new members joined to our association from sister association. We heartily congratulate welcome Srinivasa (EE Electrical) and Com. Ravi Kumar (EE Civil) to our association. The programme was arranged during lunch hour. CP, Circle VP, CS AIBSNLEA, CS, CP, ACS of AIGETOA were on the dias. Com. Sadanada JTO had anchored and the welcomed the dias.Com Prabhu Dore DS Raichur SSA, Com Rajkumar DS President AIBSNLEA, Com Krishna Reddy DS AIGETOA, Com Neera Chaudry DS President of AIGETOA Com. Smt Radha P (DGM Riachur SSA) were present. Com. Ajay ACS AIGETOA addressed the gathering and appealed to vote for Sl. No 1 AIBSNLEA and make it a majority executive association. Cs AIGTOA Com Sunderaj addressed the members, mentioned about achievement of recent agitation programme of three demands by both the associations, status of Rule-8 transfers, and appealed all membres to vote for sl no 1 AIBSNLEA incoming membership verification. He explained in detail on going referendum on 7/12/2016. Why AIGETOA is supporting AIBSNLEA, coating an instance that none other than com. Prahlad Rai (GS AIBSNLEA) has addressed AIGETOA members in Janthar mantar New Delhi during our agitational programme and AIBSNLEA a transparent, comradely and encouragement to all DR’s. GS AIBSNLEA is a guiding force for the DR’s. So we enmass whole heartedly support to AIBSNLEA forever. CS AIBSNLEA addressed the members and gave a detailed achievement of AIBSNLE at CHQ/Circle level. He congratulated all the members of active participation in the recent agitation programmes. He explained in detail about manifesto of AIBSNLEA published by CHQ. AIBSNLEA is a multicadre associations viz. PA/PS, ADOL, CIVIL, ELECTRICAL, Telecom factory, Finance, Eng. He mentioned about the recent promotion of SDE Electrical to EE Electrical. The efforts of CHQ has yielded the results. Still our presuration for the promotion of SDE Civil to EE Civil. Re structure ADOL file has been sent to DOT for clearance. The status of ongoing DPC’s for JTO to SDE, SDE to AGM, AGM to DGM(ENGG. ), JAO to AO and AO to CAO, PS to PPS was explained in detail. He appealed to all members (AIBSNLEA AND AIGTOA) to vote for AIBSNLEA (Sl no 1. Published in the ballet paper. )and he expressed thanks and gratitude to all members of Raichur SSA for their excellent hospitality. Comrade Kishore Reddy (DS AIGETOA) expressed the vote of thanks. CIRCLE PRESIDENT com. Ullas Gaurav summarised all the points of AIBSNL achievements and applead to vote for Sl No. 1 AIBSNLEA and make it a number 1 majority of executive of association and exercise your valuable votes on 7/12/2016.Member of Raichur SSA had an interaction with the leaders and cleared their doubts. Click here for the glimpses. MEMBERSHIP VERIFICATION CAMPAIGN AT BELLARY. CS AIBSNLEA addressed the members and gave a detailed achievement of AIBSNLE at CHQ/Circle level. He congratulated all the members of active participation in the recent agitation programmes. He explained in detail about manifesto of AIBSNLEA published by CHQ. AIBSNLEA is a multicadre associations viz. PA/PS, ADOL, CIVIL, ELECTRICAL, Telecom factory, Finance, Eng. He mentioned about the recent promotion of SDE Electrical to EE Electrical. The efforts of CHQ has yielded the results. Still our presuration for the promotion of SDE Civil to EE Civil. Re structure ADOL file has been sent to DOT for clearance. The status of ongoing DPC’s for JTO to SDE, SDE to AGM, AGM to DGM(ENGG. ), JAO to AO and AO to CAO, PS to PPS was explained in detail. He appealed to all members (AIBSNLEA AND AIGTOA) to vote for AIBSNLEA (Sl no 1. Published in the ballet paper. )and he expressed thanks and gratitude to all members of Bellary SSA for their excellent hospitality. Comrade (DS AIBSNLEA) expressed the vote of thanks. CIRCLE PRESIDENT com. Ullas Gaurav summarised all the points of AIBSNLEA achievements and applead to vote for Sl No. 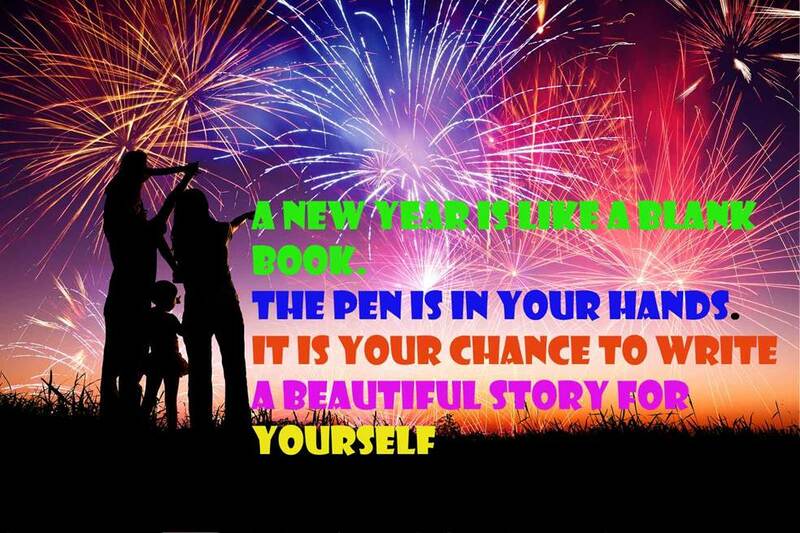 1 AIBSNLEA and make it a number 1 majority of executive of association and exercise your valuable votes on 7/12/2016.Click here for the glimpses. On 16/11/2016 the program begun with invocation song by Smt Purnima. CP, Circle VP, CS AIBSNLEA, CS of AIGETOA were on the dias.Com. Narasimappa, Com. Madival, both DGM Davan Gere SSA, Com. Jayanna DP Dhawan gere, Com. Hanumanthappa DS Dhawan gere were present. CS AIBSNLEA addressed the members and gave a detailed achievement of AIBSNLE at CHQ/Circle level. He congratulated all the members of active participation in the recent agitation programmes. He explained in detail about manifesto of AIBSNLEA published by CHQ. AIBSNLEA is a multicadre associations viz. PA/PS, ADOL, CIVIL, ELECTRICAL, Telecom factory, Finance, Eng. He mentioned about the recent promotion of SDE Electrical to EE Electrical. The efforts of CHQ has yielded the results. Still our presuration for the promotion of SDE Civil to EE Civil. Re structure ADOL file has been sent to DOT for clearance. The status of ongoing DPC’s for JTO to SDE, SDE to AGM, AGM to DGM(ENGG. ), JAO to AO and AO to CAO, PS to PPS was explained in detail. He appealed to all members (AIBSNLEA AND AIGTOA) to vote for AIBSNLEA (Sl no 1. Published in the ballet paper. )and he expressed thanks and gratitude to all members of Davagere SSA for their excellent hospitality. Comrade Jayanna (DP AIBSNLEA) expressed the vote of thanks. CIRCLE PRESIDENT com. Ullas Gaurav summarised all the points of AIBSNL achievements and applead to vote for Sl No. 1 AIBSNLEA and make it a number 1 majority of executive of association and exercise your valuable votes on 7/12/2016.Member of Raichur SSA had an interaction with the leaders and cleared their doubts. Click here for glimpses. CP, VCP, CS AIBSNLEA, CP ACS, CS AIGETOA, will visit Raichur on 15.11.2016, and will address the members during lunch hours in view of membership verification campaign. District office bearers and circle office bearers and all members are requested to attend the meeting and make it a grand success. CP, VCP,CS AIBSNLEA, CP, ACS, CS AIGETOA, will visit Bellary on 15.11.2016 @ 16 hours and will address the members in respect of membership verification campaign. District office bearers and circle office bearers and all members are requested to attend the meeting and make it a grand success. CP, VCP,CS AIBSNLEA, CP, ACS, CS AIGTOA, CP AIGTOA, and Shri Ajay ASC AIGTOA, will visit Dhawan gere on 16.11.2016 during lunch hours and will address the members in respect of membership verification campaign. District office bearers and circle office bearers and all members are requested to attend the meeting and make it a grand success. Congratulations to all 54 JAO are having enrolled to AIBSNLEA KTK Circle. A batch of JAO’s undergoing training comprising of 54 JAO’s gathered at RTTC Mysore. All 54 JAO’s enrolled to AIBSNLEA KTk circle. The program was arranged by DS AIBSNLEA Mysore SSA. The dignitaries on the dias were CP Com. Ulhas V Gurav, ACS Com. KrishneGowda, DS Mysore Com. Manjunath, Com. VyasaMurthy AO and Com. Vanajambal AO. DS introduced dignitaries on the dias to the new incumbent JAO's. Circle President Com. Ulhas welcomed all the JAO trainees and congratulated them. He spoke at length on various matters concerning accounts cadre and briefed about the history of our association AIBSNLEA and its achievements made so far. He also elaborated about restructure of cadre, replacement of E1 to E2 scale for JAO's/JTO's , implementation of CPSU cadre hierarchy, viability of BSNL constitution of 3rd PRC. Stressed the need for a strong association like AIBSNLEA and praised the leadership qualities of our GS Com. Prahalad Rai in getting the things achieved. A brief interaction session was held at the end with JAO's wherein the CP has clarified the doubts raised by JAO Com. on various issues. Each new faces of the accounts fraternity under training appreciated the leaders on and off the dias for arranging the splendid meeting in an eye opening manner. The meeting lasted for an hour. The meeting was concluded with a vote of thanks by Com. Vanajambal CAO RTTC. Click here for the glimpses. The programme was arranged during lunch hour. Com Najeer Sheik (DGMT Karwar chairperson of the programme.Com M Y Dixit (president AIBSNLEA),CP,CS AIBSNLEA, CS AIGETOA, Com Tamase (DS Karwar) were on dais. Com G G Bhat (Area Secretary AIBSNLEA) welcomed the dais and huge gathering.Com. Rama Krishna (DS AIGETOA), DS BSNL EU, DS NFET, SNEA members were present in the meeting. CS AIBSNLEA addressed the members and gave a detailed achievement of AIBSNLE at CHQ/Circle level. He congratulated all the members of active participation in the recent agitation programmes. He explained in detail about manifesto of AIBSNLEA published by CHQ. AIBSNLEA is a multicadre associations viz. PA/PS, ADOL, CIVIL, ELECTRICAL, Telecom factory, Finance, Eng. He mentioned about the recent promotion of SDE Electrical to EE Electrical. The efforts of CHQ has yielded the results. Still our presuration for the promotion of SDE Civil to EE Civil. Re structure ADOL file has been sent to DOT for clearance. The status of ongoing DPC’s for JTO to SDE, SDE to AGM, AGM to DGM(ENGG. ), JAO to AO and AO to CAO, PS to PPS was explained in detail. He appealed to all members (AIBSNLEA AND AIGTOA) to vote for AIBSNLEA (Sl no 1. Published in the ballet paper. )and he expressed thanks and gratitude to all members of Karwar SSA for their excellent hospitality. Comrade Tammse (DS AIBSNLEA) expressed the vote of thanks. CIRCLE PRESIDENT com. Ullas Gaurav summarised all the points of AIBSNL achievements and applead to vote for Sl No. 1 AIBSNLEA and make it a number 1 majority of executive of association and exercise your valuable votes on 7/12/2016. Click here for the glimpses. Membership Verification campaign at Karwar: CP,CS,CS(AIGTOA) will visit Karwar on 07/11/2016. They will address members during lunch time. All members of Karwar district are requested to attend the meeting and make it a grand success. On 24/10/2016 during lunch hours membership verification program begun with invocation song by Smt Barathi Bhat Bolan JTO cash CO. The program was anchored Smt Gracy C C SDE mobiles CO. The dignitaries were invited to the diaz namely com. Shiv Kumar (CHQ President AIBSNLEA), com. Prahlad Rai (CHQ GS AIBSNLEA), com. Ullas Gaurav (President KTK Circle AIBSNLEA), com. Shashidhar Hiremath (CS KTK Circle AIBSNLEA), com. H Y Andeli (Consultant AIBSNLEA KTK Circle), com. M R Nagaraj (Consultant AIBSNLEA KTK Circle), com. Ashok Shigli (President AIGETOA KTK Circle), Sundar Raj (CS AIGETIOA KTK Circle). All the dignitaries were welcomed with the bouquet. The welcome address was delivered by com. S K Hiremath, CS AIBSNLEA KTK and expressed the capability of AIBSNLEA, our association is a multi-cadre executive’s in all disciplines. We are all united certainly, every member will exercise their votes on coming referendum (7th December 2016) and make it a number 1 majority Executive Association. In ballet paper out of 10 executive associations, AIBSNLEA association serial number is 1 and appealed to vote for serial number 1. Com. Sundar Raju (CS AIGETOA) highlighted that DRs are facing issues right from their joining. It is only through the association platform that all of these issues are being taken up and are being resolved. He requested the huge gathering to vote for AIBSNLEA ( SL Number 1) and to make it a number 1 majority association. In all respect AIGETOA will support AIBSNLEA in days to come. Com. Shivakumar (President CHQ AIBSNLEA) spoke at length on the history of associations in the earst while DOT set-up. He referred to the 1640 struggle in which the current GS of AIBSNLEA was the CS of Rajasthan. On the contrary is noted that SNEA leaders were not present at that time. Some of the leaders are involved in court cases that are to the detriment of the cadre such as Rule 206. This shows the dual stand of SNEA. Even now the stand on SNEA on MT and CPSU needs to be questioned. On the matter of MT, SNEA claims to be supporting internal MT only which is a fallacy. On CPSU hierarchy, they are recommending 10 years in E3 which is unwarranted. He concluded with slogans in support of United Forum. Com. Shri Laxman (President CHQ AIGETOA), gave stirring speech on the major issues faced by DRs - PPP - Pay, Promotion and Pension. He gave a practical example of how DRs entered BSNL believing that it is a Government of India company that will take care of executives in terms of social security and career prospects. It is after the passage of 15 years that many are realising the poor HR policies of BSNL. The pay-scales are compromised, some have not got even a single promotion and we do not have any pension to fall back on. He too concluded with slogans in support of the United Forum and vote for AIBSNLEA in particular. Com. Prahlad Rai, ( GS AIBSNLEA) gave us the background behind the formation of AIBSNLEA in May 2004. He mentioned that prior to the formation of BSNL, there existed may associations based on cadre such as Accounts, Electrical, Civil, Architecture, PA/PS, ADOL, Telecom Factory etc. In the historic Calcutta convention, all of the executive cadres merged to form AIBSNLEA. Since then, they have been in the forefront in fighting injustice to all constituent cadres. He also gave us the recent updates on our issues which are in the forefront due to the last 2 agitation programmes. He gave detailed information in respect of carrier progression of executives, our four front demands are the pay (E2 to E7 scale, 30% super annulation benefits, CPSU hierarchy will be resolved shortly as per agreement/decisions by the administrations. He mentioned about misleading the DR’s by the sister executive association. He appealed all DR’s to go through our association manifesto which was published in AIBSNLEA web site and convey to your colleges and appeal them to vote for AIBSNLEA and he mentioned the current status of DPC’s of various cadres and court cases which were in progress. Promotions of PPS, ADOL, JTO(Civil) to SDE (Civil). The DPC’s were completed or DGM (Telecom), DGM (Finance), with a consistent pursuance of AIBSNLEA yielded the results. He appreciated AIBSNLEA KTK Circle, memberships are the highest memberships in our AIBSNLEA. He expressed his confidence about KTK circle will lead maximum votes in coming referendum. He thanked all members who gathered more in number and organisers AIBSNLEA of KTK Circle. Presidential Address was delivered by Shri Ullas Gourav. He summed up the points and thanked the guests for coming and addressing us. Vote of thanks was followed by the inspiring song - "Hum honge kamyab". Click here for the Glimpses. The program begun with invocation song by M B Kulkarni JTO. The program was anchored by com. Mudra Bhat and he called the dignitaries to the dais namely com. Shiv kumar (President CHQ AIBSNLEA), com. Prahlad Rai (GS CHQ AIBSNLEA),com. Shashidhar Hiremath (CS KTK Circle AIBSNLEA),com. Daddamani (President Dharwad SSA AIBSNLEA) com. Shridhar Babu (JS South CHQ AIGETOA), com. Ashok Shigli (President AIGETOA KTK Circle), com. Ajay (ACS AIGETOA KTK Circle). All the dignitaries were welcomed with the bouquet. Congratulated the DGM Sri . R.H.KAI on his promotion to G.M (looking after) -Bijapur SSA and presented with a bouquet by GS AIBSNLEA. 1. The importance of standard pay scale including pay loss issue for post 2007 recruited JTOs . 2. Congratulated UF for achieving Presidential order for 3% and requested the UF leaders to quantum to be increased. 3. Due to various court cases several DPC are held up, requested UF to resolve the stay vacation at various courts. and requested all the D.S D.P and office bearers of AIGETOA and AIBSNLEA to co-ordinate in meeting each executive for voting in MV on 07.12.2016 in favour of AIBSNLEA. Appealed all DRs that local transfers/Rule-8 transfers are not the career for us , real career is PAY , PENSION AND PROMOTION . UF of circle body working for rule-8 transfers and always ready to protect the members. Thanked the members who attended the meeting by coming from various districts /SSAs. Com. Ashok Shigli (President AIGETOA) addressed the huge gathering and shared feelings when he met GS AIBSNLEA at Shilguri North East and remembered the conversation with GS. He converted all SNEA members to AIGETOA and appealed all the DRs to vote for AIBSNLEA SL number 1 and elect as the majority executive association in coming referendum. So now you are going to vote ... Are you friends? To whom you have to vote? i.e you have to vote to AIBSNLEA.... Obviously to the man with vision, man with vast historical knowledge , man with clarity and the man who dedicated himself for the welfare of executives from so many years, the man having transference / honesty , i.e none other than com. Prahlad Rai. Friends you please. Think who else available , who else is most suitable than him in contemporary leadership of associations / unions of BSNL. Thats why we are telling to vote for AIBSNLEA, thats why we are telling to vote , Obviously to the man with vision, man with vast historical knowledge , man with clarity and the man who dedicated himself for the welfare of executives from so many years, the man having transference / honesty , the man who can able to conduct effective talks wth management , i.e none other than Mr. Pehlad Rai. Friends You plz. Think who else available, who else is most suitable than him in contemporary leadership of associations / unions of BSNL. You people told there is no possibility of CPSU Cadre Hierarchy implementation above Sr. S.D.E level, why your stand changed now.....? You people demanded to keep young executive/ my younger brother for 10 years in E3, otherwise your hearts will burn like anything... why your stand changed now.....? You people told if DRs get full 30% superannuation benefits then DRs will get more pension than absorbed executives then why your stand changed now...? 1. If you want full 30% SAB , you vote for AIBSNLEA..
2. If You want No MT recruitment in BSNL, vote for AIBSNLEA..
3. If You want No DGM recruitment in BSNL, vote for AIBSNLEA..
4. If You want Your career progression upto the level of Director / CMD, vote for AIBSNLEA..
5. If You want sound / proper implementation of 3rd PRC , vote for AIBSNLEA..
6. 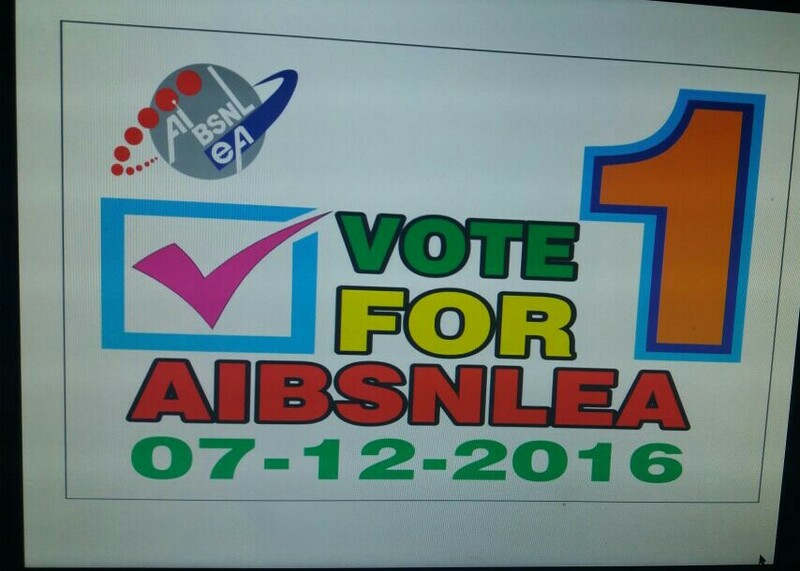 If you want vibrant future for BSNL, vote for AIBSNLEA..
7. If You want BSNL executives future for coming 3 years in safer hands, vote for AIBSNLEA..
Com. Prahlad Rai, ( GS AIBSNLEA) gave us the background behind the formation of AIBSNLEA in May 2004. He mentioned that prior to the formation of BSNL, there existed may associations based on cadre such as Accounts, Electrical, Civil, Architecture, PA/PS, ADOL, Telecom Factory etc. In the historic Calcutta convention, all of the executive cadres merged to form AIBSNLEA. Since then, they have been in the forefront in fighting injustice to all constituent cadres. He also gave us the recent updates on our issues which are in the forefront due to the last 2 agitation programmes. He gave detailed information in respect of carrier progression of executives, our four front demands are the pay (E2 to E7 scale, 30% super annulation benefits, CPSU hierarchy will be resolved shortly as per agreement/decisions by the administrations. He mentioned about misleading the DR’s by the sister executive association. He appealed all DR’s to go through our association manifesto which was published in AIBSNLEA web site and convey to your colleges and appeal them to vote for AIBSNLEA and he mentioned the current status of DPC’s of various cadres and court cases which were in progress. Promotions of PPS, ADOL, JTO (Civil) to SDE (Civil). The DPC’s were completed or DGM (Telecom), DGM (Finance), with a consistent pursuance of AIBSNLEA yielded the results..
At present we are thriving hard to get 3 Ps - PAY, PROMOTION AND PENSION for our younger brothers. He also assured that our joint effort will be successful in achieving 1st position in the forthcoming Membership verification of the Executives. He further mentioned that with the efforts of AIBSNLEA and AIGETOA the replacement of E-1A by E-2 & E-2A by E-3 and subsequent scales up gradation from E-3 to E-4, E-4 to E-5, E-5 to E-6 and E-6 to E-7 proposal was approved by BSNL MC and now being cleared by DoT/DPE shortly. The Khan Committee report on CPSU cadre hierarchy is also now under active consideration by the BSNL Management, 3% superannuation contribution from BSNL towards 30% superannuation benefit has been approved by BSNL Board/DoT and order has been issued. AIBSNLEA is also equally concern to the viability of BSNL and that is why during the agitation programmes of Forum of BSNL Unions/Associations, AIBSNLEA is always at fore front. As for as 3rd PRC is considered we pleaded before the Committee that BSNL is now earning Operational Profit three consecutive Financial years and this year the profit is around 3800 Crores and hence BSNL being Schedule One Company the Executives should be granted fitment equal to Indian Oil Corporation. The Committee appreciated our concern taking into consideration the Social obligation of BSNL in providing connectivity to the far flung, remote, in accessible areas and extremist areas and at times of Natural Calamities. He requested all the executives to provide best and reliable services to customers to retain them. He also appealed to vote and support AIBSNLEA during membership verification to save BSNL and its executives of all the disciplines. Com. Doddamani (President AIBSNLEA HUBLLI SSA) presented the vote of thanks. The program was concluded with national anthem. Our deepest condolences on the sad demise of beloved com. Ravi Kumar I JTO installation Mysore. We pray God that may his soul rest in peace. We are deeply saddened by the news of your loss. We pray that God will grant you the strength. My most sincere condolences. We are proud to congratulate to our beloved member com. Channabassappa DGM (West BGTD) has been promoted as look after GM west BGTD and com. R H Kai DGM Bagalkot has been promoted as a look after GM Bijapur. With a continuous pursuance yielded the results. We thank our beloved CGM KTK Circle and Circle Administration for their kind act of issuing promotion orders. ON 25/10/2016 AT LUNCH HOURS. AT HDMC’S EMPLOYEE HALL OPPOSITE TO WOMEN’S COLLEGE JC NAGAR HUBBALLI-20. Will address the gathering. All are invited to join ENMASSE to make the program a grand success for protecting the executive’s rights. Visit to Bidar SSA On 14/10/2016. The programme was arranged during lunch hour.Com Gopal Reddy chair person of the programme.Com Venkatagiri president AIBSNLEA,CS AIBSNLEA,CS AIGTOA, Com Biradar DS AIGTOA were on dais. Com Veerashetty DS AIBSNLEA welcomed the dais gathering. Cs AIGTOA Com Sunderaj addressed the members, mentioned about achievement of recent agitation programme of three demands by both the associations, status of Rule-8 transfers, and appealed all membres to vote for sl no 1 AIBSNLEA incoming membership verification. and he expressed thanks and gratitude to all members of Bidar SSA for their excellent hospitality. Comrade Biradar DS AIGTOA expressed the vote of thanks. Click here for the glimpses. The programme was arranged at 19:00 hrs. The function started with an invocation song by Sri B.G Hiremath. Comrade K. Suresh DGM, CS AIBSNLEA, CS AIGTOA Comrade Abdul Nasir President AIBSNLEA Gulbarga, Comrade Ganachari IFA Gulbarga, comrade Ramesh DS AIGTOA were on the diaz. Comrade Aravind Totlur DS AIBSNLEA welcomed the guest and the huge gathering. and he expressed thanks and gratitude to all members of Gulbarga SSA for their excellent hospitality. Comrade K. Suresh DGM expressed the shortage of staff (JTO, SDE’s, AGM).Many members interacted both the CS. Comrade Hugar gave a vote of thanks. Both associations of CS/DS (Gulbarga) me the GM of Gulbarga and discussed the local problem and GM assured and looked into the matters. Click here for the glimpses. The programme begun with invocation song by comrade Koluru (ADOL) Bijapur. CS AIBSNLEA, CS AIGTOA, com. 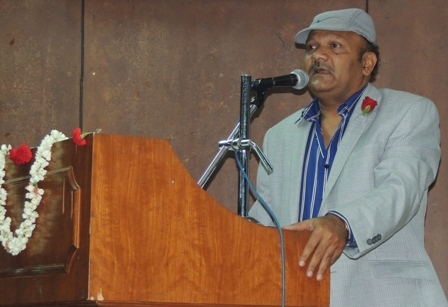 Jamadhar (President of AIBSNLEA), com. Sunil (President AIGTOA) com. Ashok Shigli (Circle President AIGTOA, com Ajay(ACS AIGTOA), Vivek Nayak (DS AIGTOA) com. R S Kulkarni ACS AIBSNLEA, com. R H Kaia DGM Bijapur, com. Arun Koppa DGM Bijapur co. Srinivas Rao IFA Bijapur were on the diaz. Com. M B Kulkarni DS AIBSNLEA welcomed the guest and the huge gathering. Com. Ajay ACS AIJTOA addressed the gathering and appealed to all direct recuritee to vote for sl no.1. AIBSNLEA in coming referendum. He requested to take up with administration in respect of local and Rule-8 transfers. Com. R S Kulkarni ACS AIBSNLEA has addressed the gathering and the difficluties faced by bijapur SSA and appealed to all to vote for AIBSNLEA. and he expressed thanks and gratitude to all members of Bijapur SSA for their excellent hospitality. Many members interacted both the CS. Comrade Vivek Nayak gave a vote of thanks. Click here for the glimpses. There is a change in GS programme. GS will be addressing the members at Bangalore CGM office Ulsoor on 24th October 2016 (Monday), during lunch hours, instead of 26th October 2016. All members are requested to make a note of changes and make it convenient to attend the meeting. Wish you all a very Happy Vijayadashami and Dasara. President and GS CHQ will visit KTK Circle on 25th and 26th October 2016. First they will visit Hubballi on 25th October 2016 and address the members in view of membership verification campaign during lunch hours. Nearby district namely Bijapur, Belgaum, Davangere, Shimoga and Karwar. District office bearers and circle office bearers and all members are requested to attend the meeting and make it a grand success. President and GS CHQ will visit to Bangalore on 26th October 2016 at CGM office, Ulsoor (Circle office Auditorium) during lunch hours. They will address members in view of membership verification campaign. Nearby district namely Kolar, Mandya, Mysore and Tumkur. District office bearers and circle office bearers and all members are requested to attend the meeting and make it a grand success. CS AIBSNLEA, CS AIGTOA, will visit Bidar on 14.10.2016, and will address the members during lunch hours in view of membership verification campaign. District office bearers and circle office bearers and all members are requested to attend the meeting and make it a grand success. CS AIBSNLEA, CA AIGTOA, will visit Gulbarga on 14.10.2016 @ 16 hours and will address the members in respect of membership verification campaign. District office bearers and circle office bearers and all members are requested to attend the meeting and make it a grand success. CS AIBSNLEA, CA AIGTOA, CP AIGTOA, and Shri Ajay ASC AIGTOA, will visit Bijapur on 15.10.2016 during lunch hours and will address the members in respect of membership verification campaign. District office bearers and circle office bearers and all members are requested to attend the meeting and make it a grand success. 5/10/2016: Belgaum District conference held on 4/10/2016. A program started with prologue by Smt V R Kulkarani (ADOL). A welcome song was presented by Smt Varunda Mundawadkar, the welcome speech by DS Sri M.S. Swami (retired DGM Belgaum). CS, CP, comrade R S Kulkarani, ACS, comrade S B Nabapuri DP, were on the dais. The President dissolved the present body and conducted the elections procedure. Comeade S B Nabapuri, S S Melinmani D S,and M C Desai were elected as President, DS, FS (Mob: 9449855711, 9481007199, 9483503444) respectively. The was taken by newly elected office barriers. The program was well organised by comrades Inamdar (CAO), Gomaj (ACS). The CS briefed about CHQ/Cicrle achivements in detail and appealed the huge gathering to be united and to enhance the membership for the coming referendum. President Comrade Ulhas Gaurav has delivered the presidential address mentioning that 3 p’s (pay promotion & pension) and requested the huge gathering to get majority votes for AIBSNLEA (multicader association) in the coming referendum. Vote of thanks was expressed by comrade Angadi. Lastly the program was completed by national anthem. Click here for the glimpses. CS, CP attended the farewell function at Hubli. Comrade Anehosour DS delivered the welcome speech. The farewell function for comrades namely Sri Kanaka Giri DGM Hubli, Sri Kathraki DGM (marketing), Sri Patil AGM Dharwad, Sri Yakkundi SDE CSC Hubli. All of them were honoured with garlanding and presenting a momento by the division. They shared their feelings about their experience in BSNL & expressed the solidarity with AIBSNLEA. CS Mentioned in detail about the association achievements, plan for coming referendum, a visit of GS comrade Prahald Rai to Hubli and Bangalore (25th ,26th Oct 2016) respectively. Comrade Ulhas Gaurav Circle President addressed the huge gathering and mentioned on going membership verification and thanked the district body.the vote of thanks was presented by DP comrade Doddamani. 3/10/2016:- RETIREMENT OF FOLLOWING EXECUTIVES ON SUPERANNUATIONS W.E.F. 30/09/2016 A/N . WE WISH THEM VERY HAPPY & PEACEFUL RETIRED LIFE.